So far this week, we've shared with you our favourite cute thing, paper thing and crafty thing... so today, let's talk about eating things! Rather, let's talk chopsticks. 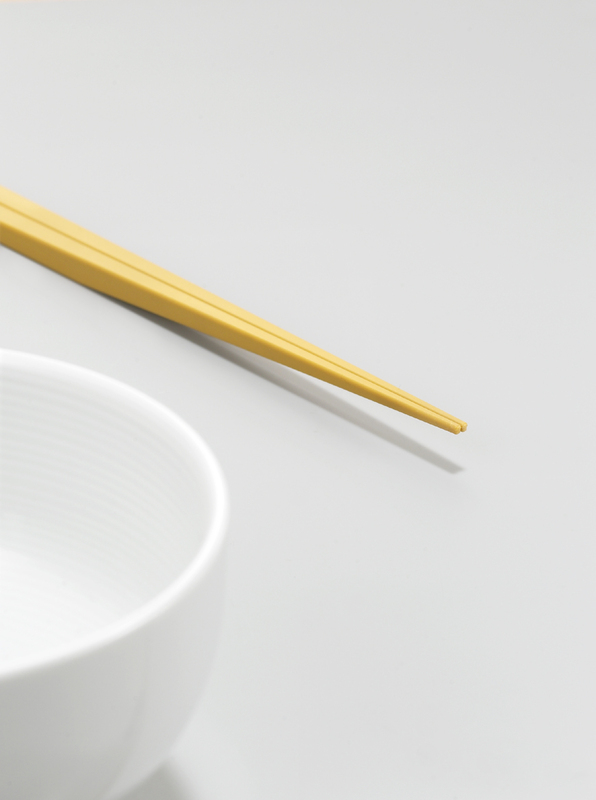 Floating chopsticks or restless chopsticks (to be specific) designed by Mikiya Kobayashi for +d. When these first came out and were plastered all over the blogosphere, we were intrigued. When we saw them in person on our most recent trip to Japan, we were impressed. When we actually got our hands on them, we thought we might never need another pair of chopsticks again. (Although, being avid chopstick collectors - and users - don't quote us on that!) Certainly we wouldn't need another chopstick rest! Ukihashi, "The Restless Chopsticks", have special angled tips designed to point away from the tabletop (and anything distasteful you might find on that tabletop) and eliminate the need for a chopstick rest. 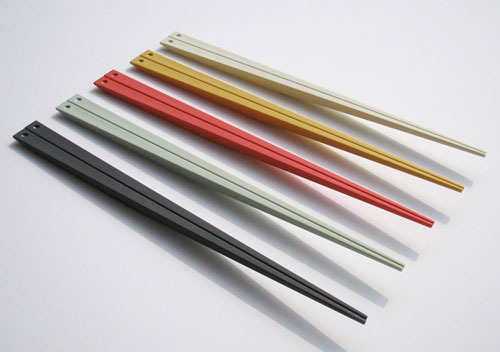 These chopsticks are sleek, simple and modern... and very very clever! Available in molded plastic or bamboo. We think you'll love them so much you'll need one of these DIY chopstick cases so they can go everywhere with you! Interested in more +d products? Omiyage.ca also carries Animal Rubber Bands, Dino Rubber Bands and Hana Fusen Note Tags from the +d collection.